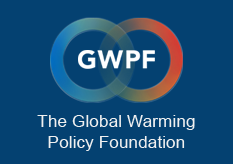 London, 20 March: The Global Warming Policy Forum welcomes the decision by councillors of Cumbria County Council to unanimously approve a new coal mine near Whitehaven. The first deep coal mine in the UK for more than 30 years was given the go-ahead on Tuesday by Cumbria county councillors. This coal mine will bring many new jobs and £180m of investment to Cumbria, and does not require the job-destroying subsidies enjoyed by the renewables industry. It goes without saying that local politicians should put the livelihoods of their residents first, but this basic duty is becoming more and more difficult to fulfil in the hyper-politicised and over-heated atmosphere of climate alarmism. So the councillors of all three mainstream parties deserve particular recognition for their energy realism. The new coal mine will produce higher-value coking coal, which is a key ingredient in steel-making. Steel is used to produce many things, not least wind-turbine blades which cannot be produced cost effectively by renewable energy. Despite the so-called coal ‘phase-out’, the UK continues to need coal for industrial uses, and to supply back-up power stations which keep the lights on and the national grid stable. During the first nine months of 2018, 37% of our coal came from Russia. Offshoring our coal production to countries with lower environmental controls will only increase global CO2 emissions due to transportation and further degradation of natural environments. The GWPF hopes that politicians at all levels of government will take heed of the decision that councillors in Cumbria have made, recognising that the needs of people both at the local and national level should always come before non-sensical demands by climate activists.